May was a very busy month in regards to LEGO news and here’s a recap of some of the more notable articles from the month. Again, it might be a longer post than other months. 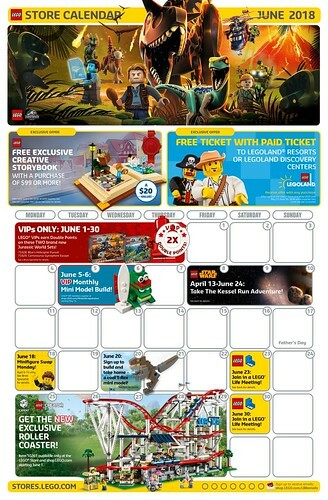 LEGO June 2018 Store Calendar Promotions & Events – The June promotions has kicked off and it’s a fairly calm month in terms of promotions. 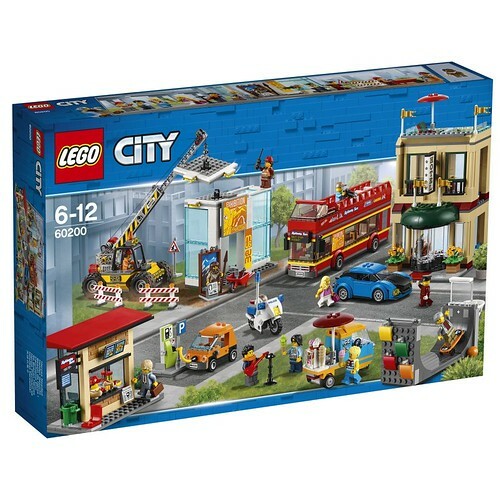 LEGO City Summer 2018 Capital (60200) Revealed – One of the largest LEGO City sets for the summer 2018 wave is the Capital (60200) which is similar in scale to the Town Square and City Square sets from previous years. LEGO Star Wars UCS Millennium Falcon (75192) Review – My long-awaited review of the LEGO Star Wars UCS Millennium Falcon (75192) is now live. 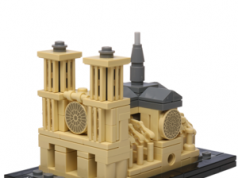 LEGO Star Wars UCS Cloud City Rumored Details – There are more details for the rumored LEGO Star Wars UCS Cloud City set. LEGO Marvel Super Heroes Avengers: Infinity War Movie to Set Comparison – A new series which I hope to continue with other themes is comparing LEGO sets released for movies and the first one is for Avengers: Infinity War. LEGO Ideas First 2018 Review Stage Underway – The First 2018 Review Stage has kicked off with ten sets that qualified for it. LEGO BrickHeadz Harry Potter Sets Officially Revealed – The new LEGO BrickHeadz Harry Potter sets were revealed and are set to be released in July. LEGO Wizarding World Harry Potter Product Details – The LEGO Wizarding World Harry Potter sets were officially revealed with information about the pricing and piece counts. 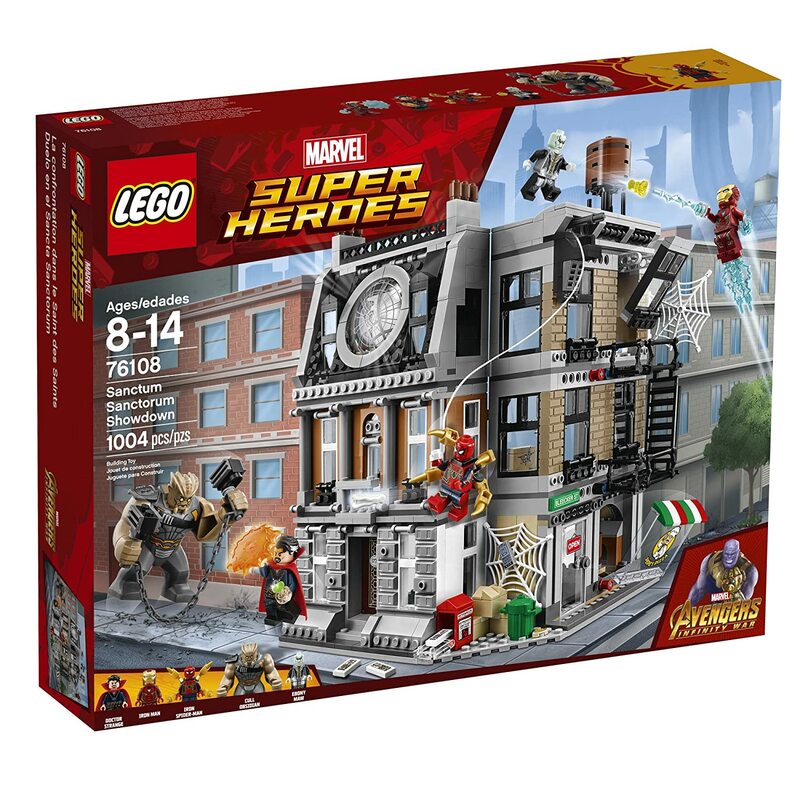 Rumored LEGO Bricktober 2018 Set Details – There are some details of the LEGO Bricktober 2018 sets which include minifigures from various themes like LEGO Ninjago, LEGO Marvel Super Heroes, and LEGO Harry Potter. LEGO Summer 2018 Set Details Recap – I’ve done a recap of the summer 2018 LEGO sets which includes details for the pricing and piece count. LEGO Overwatch Sets Announced at Licensing Expo 2018 – The 2018 Licensing Expo kicked off a few weeks ago and Activision Blizzard announced that there will be LEGO Overwatch sets with multiple sets at various price points. LEGO Mosaic Maker Coming to the United States – LEGO has finally released the popular LEGO Mosaic Maker machine in the United States. LEGO Wizarding World Harry Potter Official Box Art Images – The official box art images for the LEGO Wizarding World Harry Potter sets were revealed and they look very nice. LEGO Brand Store (40305) Set Not a Promotional Set? 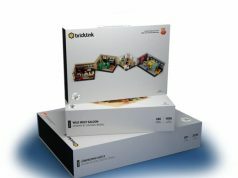 – The new LEGO Mini Brand Store (40305) set will not be a promotional set as first thought but can be purchased by itself. 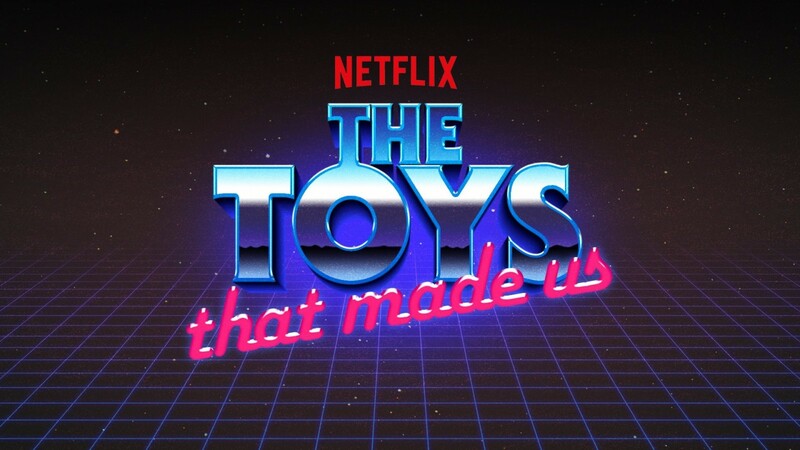 The Toys That Made Us LEGO Episode Review – The Toys That Made Us has finally returned to Netflix which included the episode about LEGO. LEGO DC Super-Villains Video Game Officially Announced – Warner Bros. Interactive Entertainment has officially announced the next LEGO video game with LEGO DC Super-Villains which comes out in October. 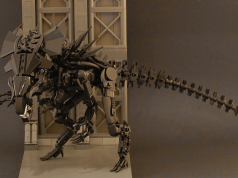 LEGO Ideas Third 2017 Review Stage Winner Announced – LEGO has announced the winning project for the LEGO Ideas Third Review Stage. Next articleSneak Peek at Rumored LEGO Jurassic Park Visitor’s Center Set?